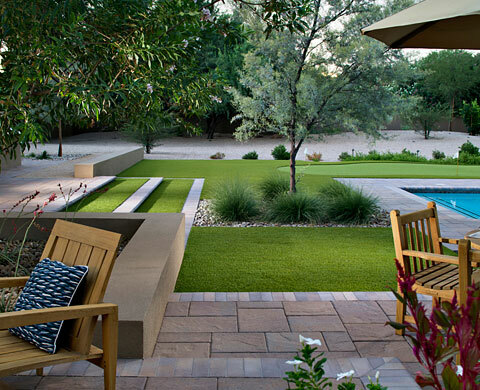 Markham Landscape Products is a family owned and operated landscape materials business. 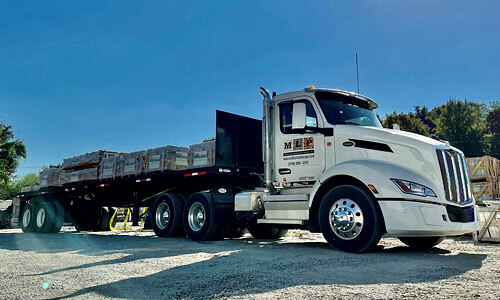 Since our humble beginnings in 1996 we have grown from one mulch pile to the preferred materials supplier, with two locations, for many of the major contractors and discriminating homeowners in the greater Charlotte and Lake Norman area. Our top priority is, and always has been, that our customers are fully satisfied with the complete buying process. Our goal is that you would feel special and appreciated from the time you walk through the door, or call us on the phone, to the moment you pull your vehicle off our lot or our delivery truck drives away from your job site. The quality and value of our products is of the utmost importance to us, and we are constantly working to introduce new products to the Charlotte market. We invite you to take a look around some of our products on this page and then visit our yards. We look forward to meeting you! 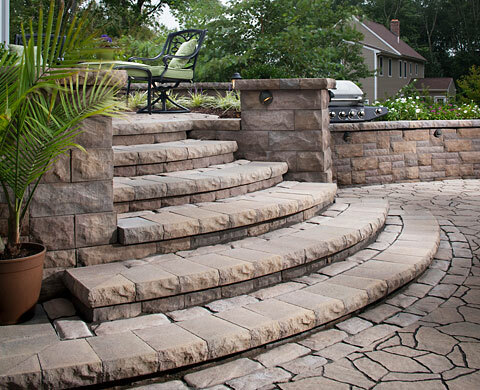 We supply Landscaping and Hardscaping materials including Belgard Pavers, Belgard Retaining Walls, Sand & Gravel, Mulch, Stone, Aggregates and Topsoil. Dry-stacked or dry-laid stonework requires no mortar. You don't need special equipment, super strength, or a fat bank account. If you can handle a shovel, wield a hammer, use a level, and lift small stones; and if you're eager to spend some time working with your hands outdoors, stonescaping is for you. A stone patio can be greatly enhanced by nice foliage around the perimeter. Consider how the patio will be used and what furniture you plan to place on it. Look at access points and traffic patterns to determine connections to pathways or steps.